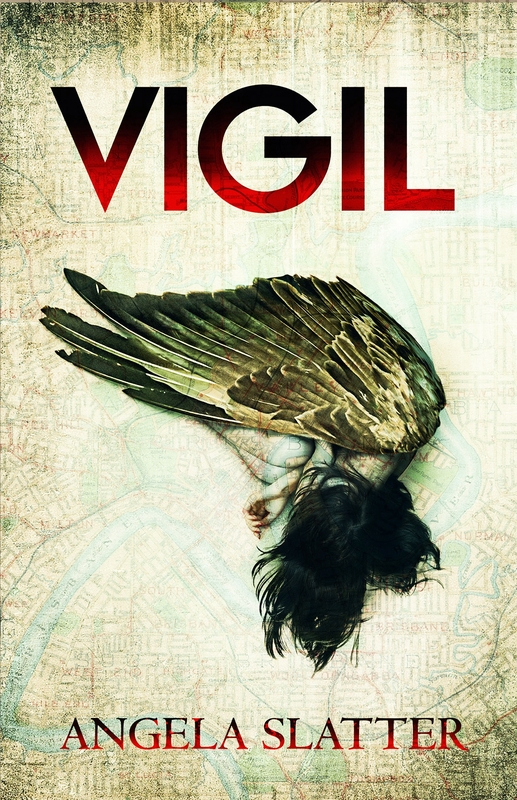 ← ‘Vigil’ by Angela Slatter – blog tour coming soon. First impressions – this book was great fun to read. It starts with the fallout from a fight between a trans-dimensional monster and a half-supernatural / half-human woman, and it ends with favours being called in from an angel who looks like he should be playing lead guitar in an indie band. Did I love it? Yes. Do I want more? Definitely. There’s something about this book that reminds me of Pratchett’s Discworld. Partly it’s the deadpan humour, partly it’s the multi-species dramatis personae. Slatter introduces a cast of characters drawn from many races. Some are hybrids, including our heroine Verity Fassbinder. The various races have complicated relationships, and there’s no shortage of race supremacists of several flavours to add to the pot and simultaneously give it a good stirring. Fassbinder is one of a select group of people who are aware of the presence of supernatural beings in Brisbane, they are tasked with keeping the peace to protect both the human and the non-human (Weyrd)population. Her role is a very particular one, she lives in the human world, and that of the Weyrd, and has very useful connections in both. She’s basically a gumshoe detective with extra powers. She’s got a dark back story, a long to-do list, and super strength. She also has a massive sense of responsibility, and an inbuilt need to protect the weak, especially her loved ones. Her loved ones include a new boyfriend, who is cute, nearly as smart as Verity, and a hostage to fortune in a malevolent world. As I mentioned before, there is a lot of back story in this novel, the reader is pushed straight into the deep end, and is expected to doggy paddle around, grabbing clues as to who Verity and her friends are, and why they do what they do. Don’t worry, it’s not all that complicated, and there’s something very refreshing about not being a spoon fed reader. On the other hand, I do really, really want to read some of that back story at some time, because her ex boyfriend (and current colleague) is a ridiculously handsome near immortal who goes by the nickname ‘Bela’. Also, there are hints at past cases that sound like they’d be fun to read about. If you’re looking for literary fiction, this isn’t the book for you. If you’re looking for a great romp with a strong, stroppy, multi-tasking protagonist, some seriously creepy villains, and a plot that charges around, under and over Brisbane at high speed, this is the book for you. Thank you to the team at Jo Fletcher Books for the review copy, and the opportunity to be part of the blog tour for this hugely entertaining novel. Vigil is available now, from Jo Fletcher Books. This entry was posted in Review and tagged angels, crossover fiction, Fantasy, Fiction, Review, Slatter, urban fantasy, Verity Fassbinder, Vigil, Weyrd. Bookmark the permalink.